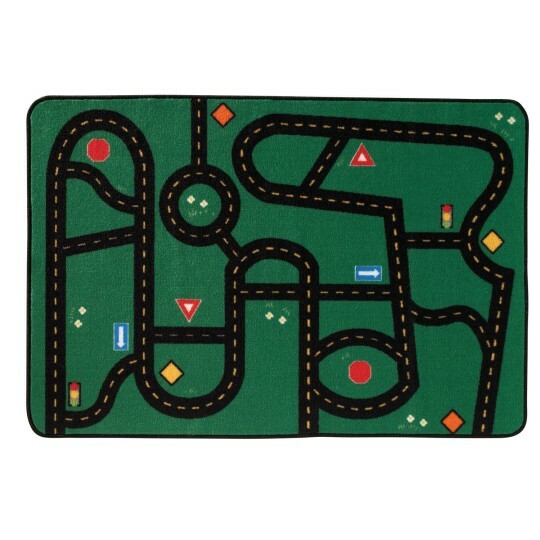 Stimulate their imagination with this roadway pattern rug! 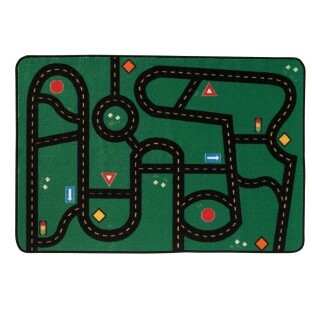 Designed to stimulate a child's imagination through a variety of designs created for use in small play areas. Proudly made in the USA, you can be assured that our products are safe for your room; constructed with attention to detail and quality. 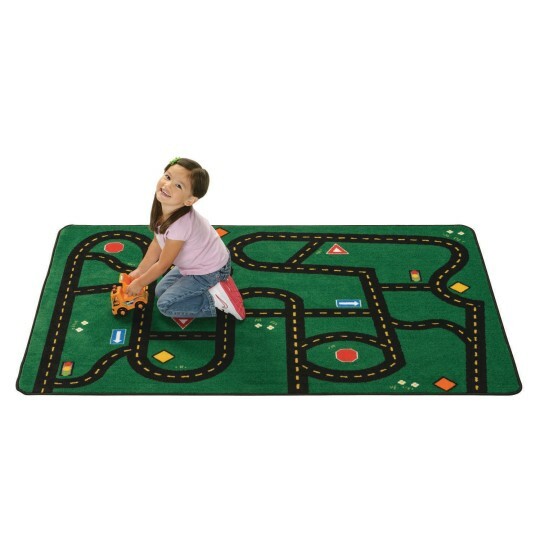 Skid-resistant backing includes non-allergenic synthetic latex. Carpet stain protection. Machine washable. Made with recyclable nylon fiber. 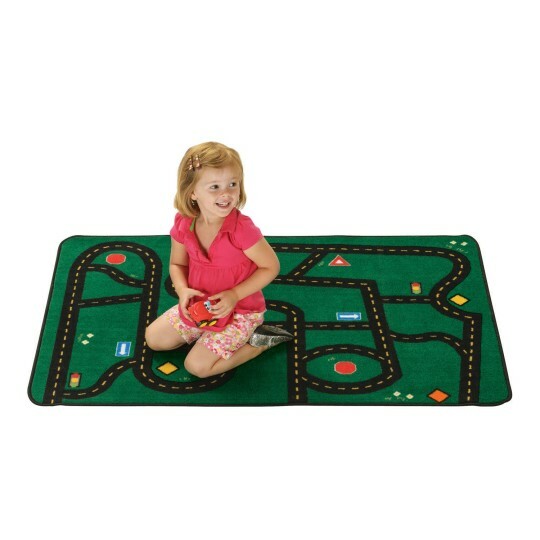 Each rug passes CPSC FF1-70 Standard for the Surface Flammability of Carpet. Please specify size when ordering.